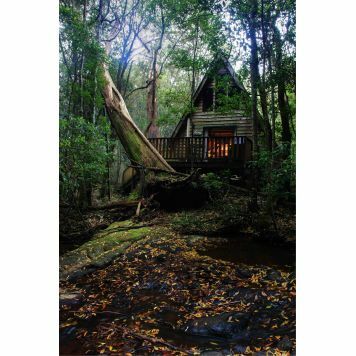 Located in the heart of a magnificent World Heritage listed rainforest, this exclusive and stately English Tudor mansion with it's elegant fine dining restaurant sits on 25 acres of picturesque gardens, lawns and rainforest. 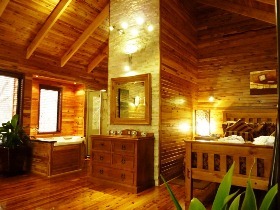 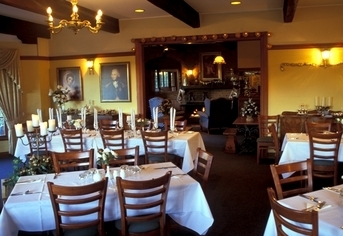 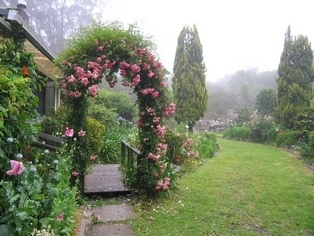 The English Gardens offers a rustic 3.5 star cottage experience. 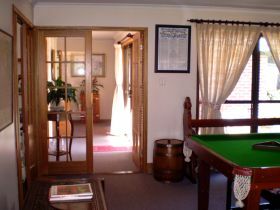 In addition to our long established, private and popular Bed & Breakfast wing, Paddymelons is pleased to offer romantic and luxurious self contained accommodation with its own private courtyard and access. 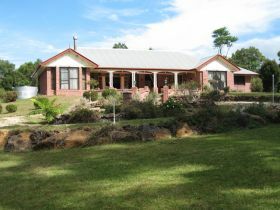 Blue Quandong Cottage at The Sanctuary Bed and Breakfast is located on Springbrook Mountain in the Gold Coast hinterland. 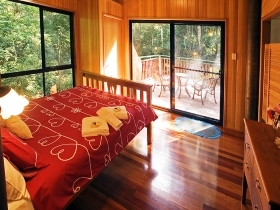 The World Heritage Listed Springbrook National Park is an eco-tourism wonderland and world-famous for its rainforests, unique environment and ancient volcanic landscapes. 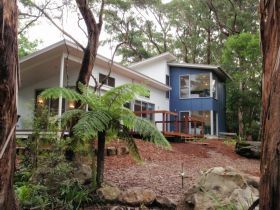 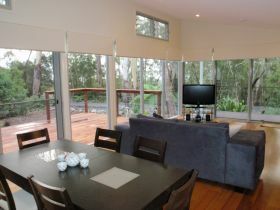 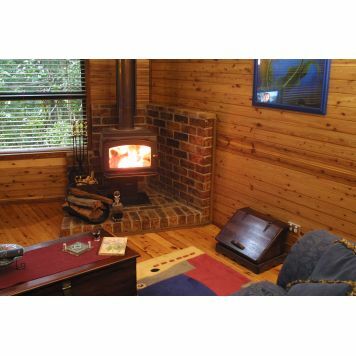 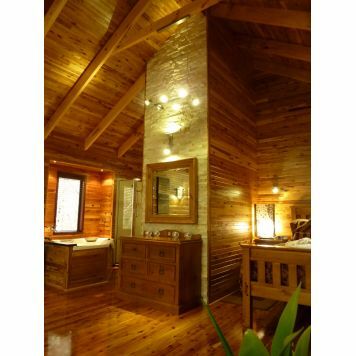 Springbrook Mountain "Twin Falls Retreat" is a new self contained house with an open plan kitchen/dining/lounge area and a wood burning fireplace. 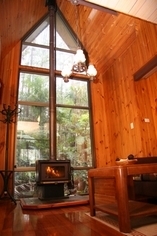 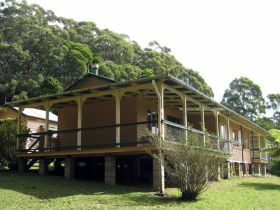 Twin Falls Retreat is somewhat unique at Mount Springbrook as it is ideal for a private holiday or to share with another couple. 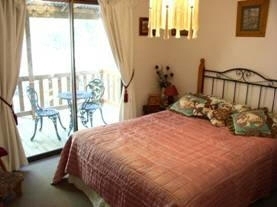 There are two large queen bedrooms, both with ensuites, double spas and windows with a pleasant outlook into the National park. 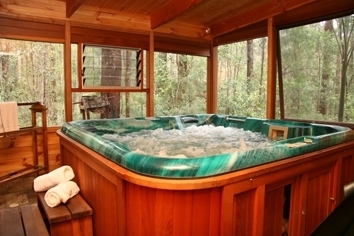 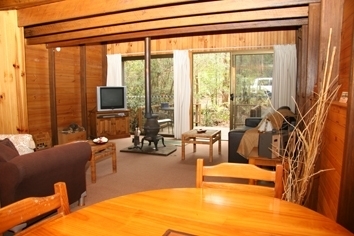 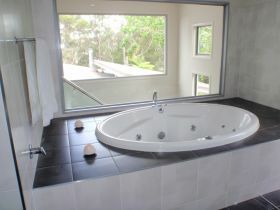 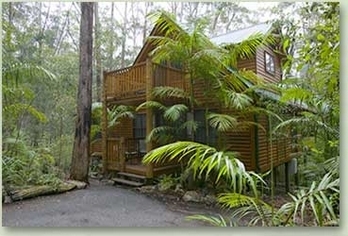 Please note that Twin Falls retreat is a two bedroom house with two queen beds only. 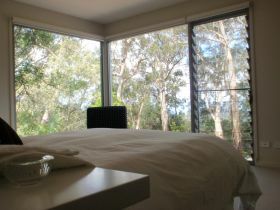 The living area and bedrooms have large windows to allow you to enjoy the view through the trees with the lights of the Gold Coast visible at night. 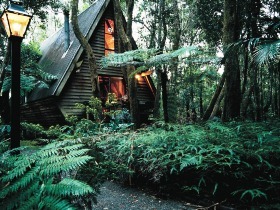 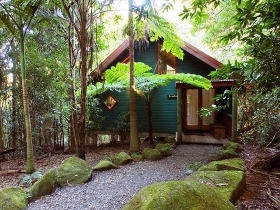 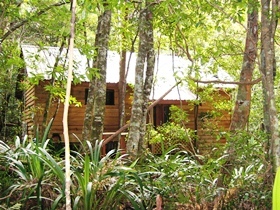 The Mouses House Springbrook is arguably the most unique rainforest chalet accommodation resort of its type in Australia. 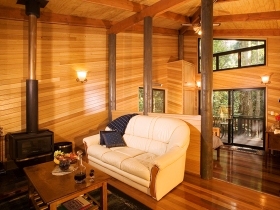 Located in the World Heritage listed Warrie National Park in the Gold Coast Hinterland, multi award winner, The Mouses House, consists of 12 delightful Rainforest Chalets most with a loft and picturesque views and sounds of cascading mountain streams. 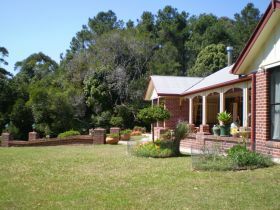 Hardy House Bed and Breakfast is a traditional bed and breakfast located 800 metres above sea level on Springbrook Mountain and close to Springbrook National Park in the MacPherson Range in the Gold Coast hinterland. 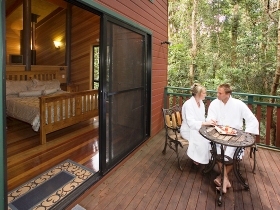 The location offers easy access to waterfalls, rainforest and lookouts with views to the Gold Coast.